We are so thankful for our partnership with Dailygreatness. They have not only sponsored all our 2019 retreats and programs with their beautiful Yoga Journal, but they have also generously given a sizeable donation to the Yoga Girl® Foundation! "Our mission is to empower you to consciously create your days and support you in realising you are the architect of your destiny. 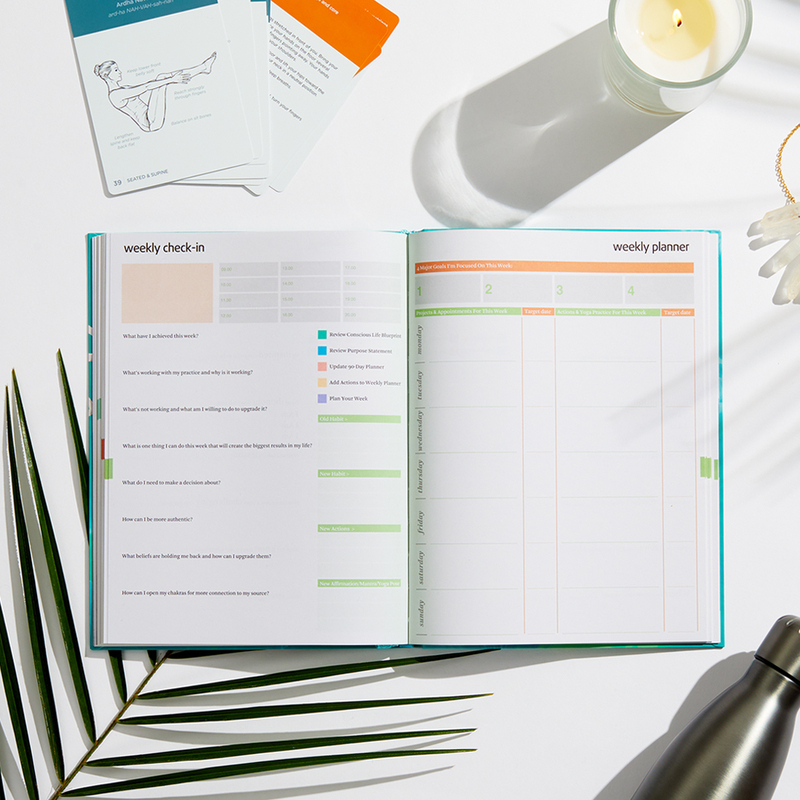 With our lifestyle journals and planners you get practical tools and proven concepts that will help you create new possibilities in any area of your life." "Hello! I'm Lyndelle Palmer-Clarke creator and author of the Dailygreatness Journal series & recovering self-help junkie who's read all the books, been to all the seminars, listened to all the DVD's and followed all the gurus only to realise (after hitting a major crisis in my life) that something was seriously missing from the picture - applied knowledge. I've made it my life mission to empower you to apply all those self-help ideas into your life in a fun, practical and dynamic way so you can start seeing results. No more wishful thinking, no more reaching for the next self-help book, just a commitment to being your own guru, following your inspiration and living the life of your dreams." Why do you want to work together with Yoga Girl®? "Yoga is a big part of our company culture and we’re inspired by what Team Yoga Girl are creating through the power of yoga. We are in awe of the whole community around Yoga Girl, The Yoga Girl Foundation as well as the #businessforchange initiative that all serve to make today’s world a better place. It was a natural step for us to get involved and work together." What do you think is unique with the Yoga Girl brand? "We love Rachel’s ambition and the whole Yoga Girl concept to invite everyone to be a Yoga Girl. It’s not just a social media handle, it’s a way of living and it’s inspiring to be part of something that is serving the greater good." When you heard about our #businessforchange initiative, what were your thoughts? "We strongly believe that business can, and should, serve as a means and catalyst for positive change and the #businessforchange initiative perfectly does this. We especially love to help women and children in need and empower them to grow. This is aligned with why we do what we do, and a big reason we decided to get involved and support Yoga Girl." What are your goals or wishes with the partnership? "By partnering with Yoga Girl we hope to introduce our concept of Dailygreatness as the perfect compliment to a daily yoga practice. 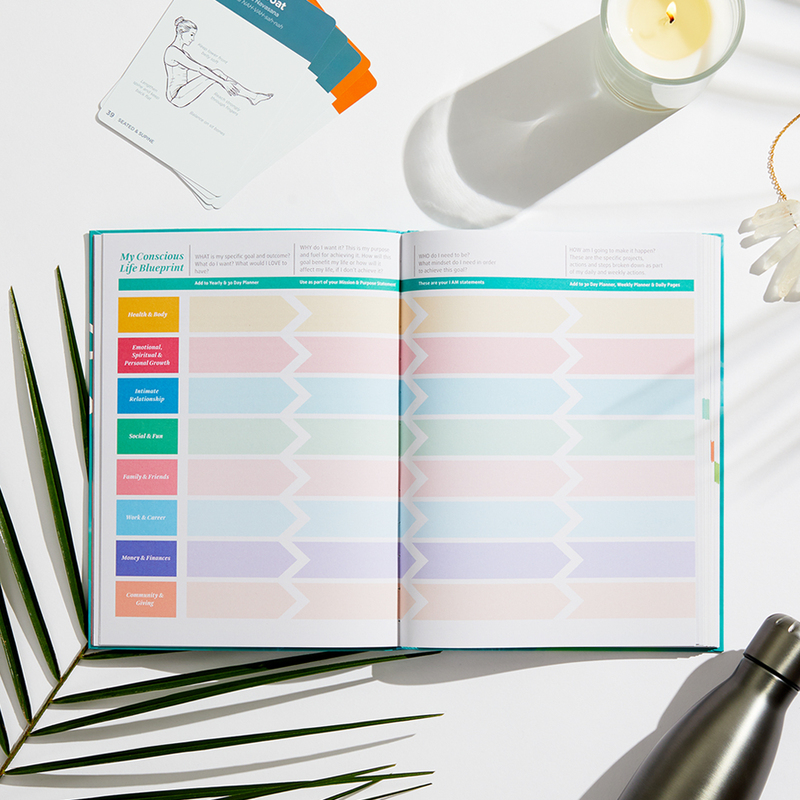 Our goal is to inspire every yogi who uses our Yoga Journal to bring their yoga off the mat and into the world so they can live a more conscious life. Our #businessforchange model is all about creating good and profitable partnerships to raise funds for our foundation. With the help from Dailygreatness we are one step closer to our vision of a world where every child is loved and safe and free from harm. Do you want to be our partner and help us change and heal the world, too? Send us an email to info@yogagirl.com and we will find a way to work together.